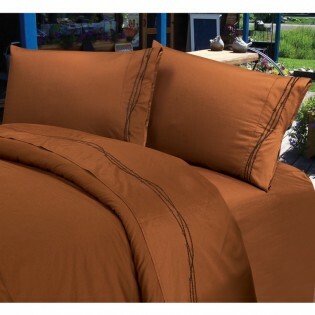 These rustic ranch style Copper Embroidered Barbwire Sheets are a rich copper color 350-thread count 100% cotton, with a embroidered trail of brown barbwire design on the top sheet as well as the pillow cases. 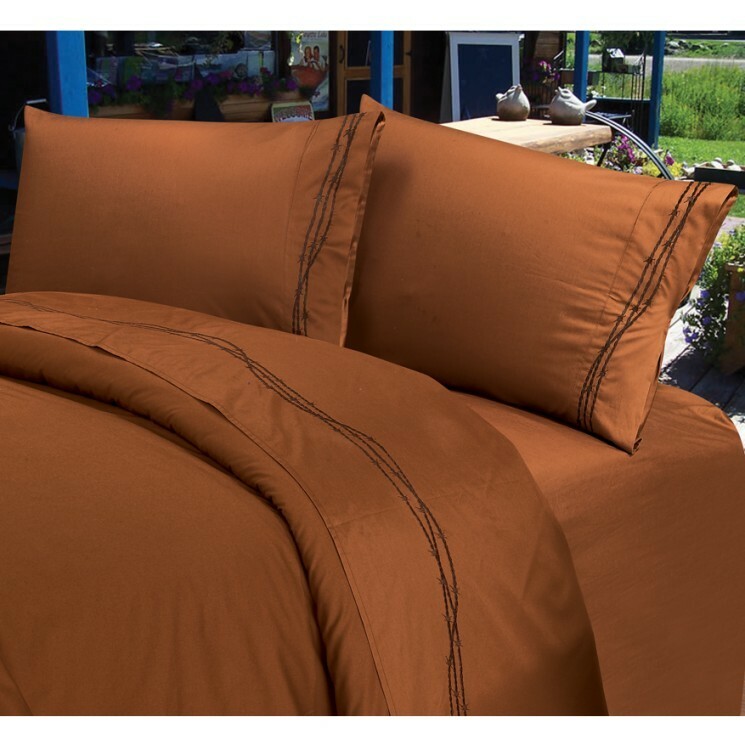 These rustic ranch style Copper Embroidered Barbwire Sheets are a rich copper color 350-thread count 100% cotton, with a embroidered trail of brown barbwire design on the top sheet as well as the pillow cases. These rustic western sheets can be a perfect compliment to rustic, lodge or cabin bedding. Fitted sheets are designed with deep pockets to accommodate mattress up to 18" deep.